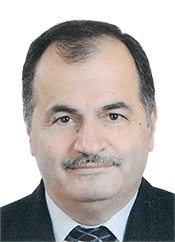 Dr. Mounir Yehia is a former Professor at the American University of Beirut, former Chairman of the Electrical Engineering Department, former member of the Board of Directors of the Lebanese Electricity Company, and Former Advisor to Abu Dhabi Water and Electric Authority. Dr. Yehia is currently the Chairman of Near East Engineering and Development Services Company. Dr. Yehia is an active consultant in the development of integrated national planning and policy programs, deregulation and restructuring of power and water utilities, power system planning and analysis, energy and distribution management systems, load management and automatic metering systems, information technology applications, Geographic Information Systems,and the transformation of public and private enterprises to the digital environment. Dr. Yehia has supervised the design and implementation of large projects related to power generation, transmission, and distribution systems. He has recognized contribution in the planning of the physical infrastructure under uncertainty, the successful development and implementation of turnkey projects for energy and water control centers, and the acknowledged realization of enterprise geo-spatial information systems for the modernization of the electricity, water, and network industry. He is known as Advisor to high level decision makers, directors, and managers in the development of business vision, the recommendation of re-engineering and transformation programs, the enhancement of the decision making process, the analysis of investment policies, and the execution of benchmarking studies. His academic and professional background had a considerable impact in topics related to the evaluation of assets operation, the identification of assets reinforcement programs, the strengthening of capacity building programs, and the integration of modern economic principles and financing models within the utility business environment. Dr. Yehia is the Founder of the "Digital Utility" Model for the transformation of the Electric and Water Utilities in the 21st century. Dr. Yehia is the author of two unique books and has supervised a number of advanced research programs at AUB, MIT (Massachusetts Institute of Technology -Boston), and Lebanese National Research Council, with emphasis on the reconstruction and development of the Power System and the modernization of the energy sectors in developing countries. He is an active contributor to international, European, and regional conferences. Dr. Yehia has published more than fifty papers in recognized journals and Conference Proceedings. He was invited as keynote speaker in international and regional conferences: San Diego, Lisbon, Vienna, Rome, Salzburg, Beirut, Dubai, and Sharm El Sheikh. Dr. Yehia was representing the Lebanese Government in AUPTDE (Arab Union of Producers, Transporters, and Distributors of Electricity), and he is an active member of international and regional organizations: IEEE PES, CIGRE, IEE, and others. 27 years of international experience in energy policy development; system planning (Power and Water); design and engineering for power generation, transmission, and distribution facilities; network operation and control; and utility transformation to digital age. Advisor to high level decision makers, directors, and managers in the development of business vision, the utility reengineering and transformation programs, the enhancement of the decision making process, the analysis of investment policies, the implementation of digital technologies, and the realization of benchmarking practices. Co-Founder of the Digital Utility Business Environment presented in International Conferences and Symposiums (Vienna, Lisbon, Salzburg, Rome, Redlands, Sharam Sheikh and Dubai). Integrator of Digital Systems Technologies with Utility and Network Industry business. Expert in the restructuring of Network industry and the development of privatization programs. Director for the implementation of multidisciplinary projects in Automation and Control of energy systems: EMS, DMS, BMS, AMR, and SCADA systems. Leader in the implementation of large scale Enterprise GIS Projects. Developer of turnkey Projects for the implementation of advanced technology Projects in renewable Energy, Large scale Energy Storage facilities, and Smart Grid Integration. Former Senior Professor of Electrical Engineering at the American University of Beirut and Chairman of the Electrical Engineering Department. Founder of Master Degree Program in Electric Power Engineering at the American University of Beirut with concentration on Energy Management and Network Control.